Between Cardboard and Daydream, Google is proving it's serious about getting VR into the hands of the masses. As part of this it wants to get schools using the tech, and the company has announced that it plans to bring VR to one million UK schoolchildren. Google's Sundar Pichai made the announcement on his first trip to the UK since becoming CEO. 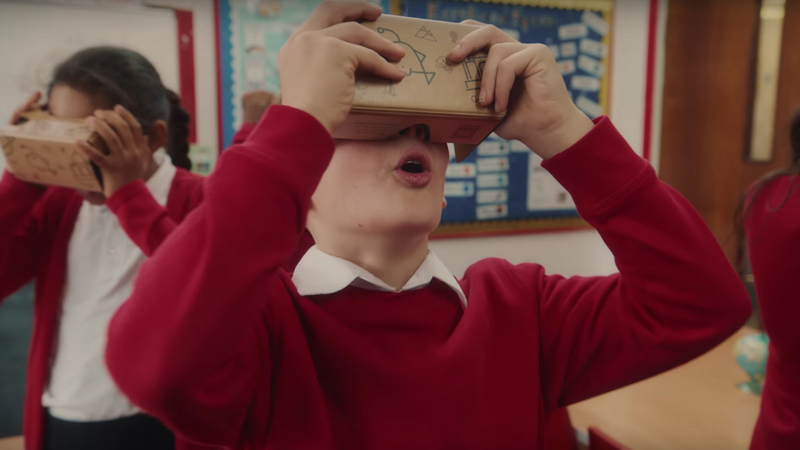 Google first detailed its school VR Expedition program at I/O in 2015, and earlier this year it announced it would expand its Pioneer Programme to more schools around Britain. Now it's doubling down on the initiative, with one million children in its sights. "We've already received feedback from thousands of teachers in the UK and they believe that Expeditions can improve literacy and writing skills, and help create excitement to complement traditional teaching methods," Pichai told Engadget. The Expeditions programme is free of charge, and the team is now embarking on a tour around the country to demonstrate the power of Cardboard to schools. It's been making a big push in the US too. To mark the announcement Google launched a short video showing kids exploring the world's oceans with VR, which you can see above.